Firmly established as one of Britain’s best trainers, Kevin started from scratch in 1998, moving rapidly through the training ranks and now sitting towards the head of his profession. Kevin’s particular genius lies in unearthing Group-winning two-year-olds for bargain prices at the yearling and Breeze Up sales. Dubbed the man with the Midas touch, he’s also widely seen as one of the best trainers in the country at breathing new life into horses that have lost their way elsewhere. Indeed, in the last five years, Kevin has saddled many Group-winning two-year-olds, registering over a quarter of a century of Pattern race wins which include success at Group 1 level with the likes of The Grey Gatsby (French Derby and Irish Champion Stakes) and Astaire (Middle Park), furthering Kevin’s reputation for excelling in big races without breaking the bank. Desert Lord, no more than a handicapper when arriving, was another to provide a top-level win, in the Prix de l’Abbaye, while regular wins in big handicaps via the likes of Advanced, Captain Ramius, Our Jonathan and Brando in the Ayr Gold Cup, highlight Kevin’s prowess in top handicaps. 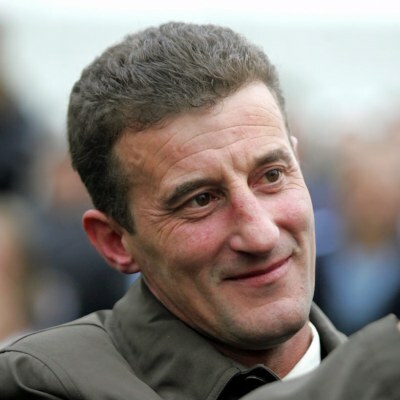 Royal Ascot is often regarded as the pinnacle of British Flat racing and Kevin has a fine record at the meeting with Group 2 Norfolk Stakes winner Bapak Chinta, Lightning Cloud and York Glory all recent winners at the Royal meeting. Kevin’s outstanding eye for a two-year-old has often seen him prosper in the big sales races as well, with £32,000 recruit Bogart, the winner of £269,000 as a two-year-old, one of several young horses to enjoy some massive paydays by winning the valuable sales races. All Kevin’s horses benefit from his meticulous attention to detail, helping them maximise their potential as racehorses which is perfect for our owners, who have enjoyed many memorable days with Kevin Ryan-trained winners on the racecourse. Throughout all of his achievement, the instantly likeable Ryan is consistently modest, keeps his feet planted firmly on the ground and pays endless tribute to his stable team. It’s hard not to be impressed by the man – both statistically and in person. View Kevin Ryan's available horses. "Hambleton Racing have been a key part of my success in recent years and we've consistently enjoyed great results for their owners. They are very professional and I can't speak highly enough of them."